Sunday, December 20th, Sarah will be selling at the Abbotsford Flea Market. 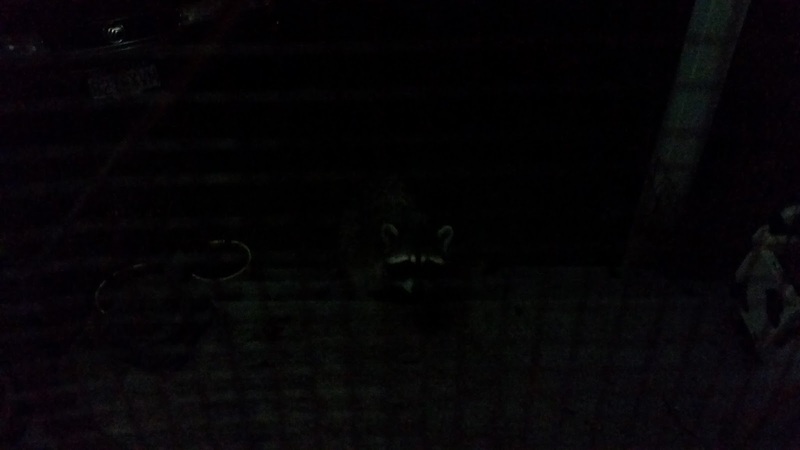 I won't be selling anywhere for a while, I have an overwhelming urge to wander off into the woods for bit. Don't know when I'll be around. Thanks again for making today such a wonderful day, and i'm sure the folks at the food bank appreciate it as well. See you guys some time next year. 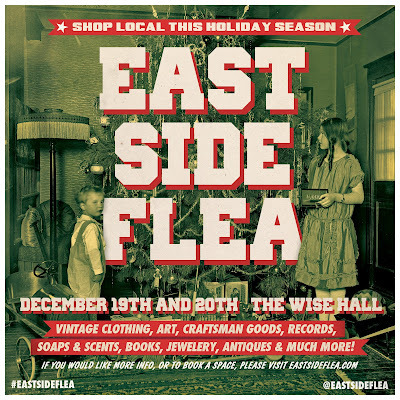 so clean your cupboards and bring down some non-perishable food items, get in cheap,and get some free soap. When adding a butter to creams and lotions, it might be necessary to gently warm it until melted or very soft in texture, and can be incorporated into the final product. Using a hand blender, create a vortex with your cream or lotion and drizzle in your melted butter until fully incorporated and consistently smooth. For addition in soaps, the general rule of thumb is one tablespoon per pound (15 ml/500 g). Native to Central and South America, Ucuuba Butter is a natural butter cold pressed from the seeds of the Ucuuba tree. The resulting butter is brown to yellow in color, and soft but dry in consistency. Common Uses: Ucuuba Butter is exceptionally rich in essential fatty acids and can be used to replenish tone and moisture to dry or mature skin. 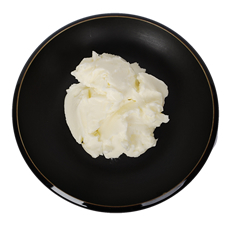 Ucuuba Butter is ideal for making pomades, creams, lotions, body butters and other skin-care formulations. Due to its dark brown color, this butter can be used to produce dark, richly colored soaps, and it is sometimes used in candles made with vegetable-based waxes. When adding butters to creams and lotions, it might be necessary to gently warm them until the texture can be incorporated into the final product. Using a hand blender, create a vortex with your cream or lotion and drizzle your melted butter to fully incorporate. For addition in soaps, the general rule of thumb is 1 tablespoon per pound. Grapeseed Oil is obtained from the seeds of grapes by cold-processing selected seeds, and refining the oil. Grapeseed Butter is then created by blending Grapeseed Oil with hydrogenated vegetable oil and Vitamin E to produce a soft, creamy butter with a pale tint that that is almost white. Odourless, it is ideal for skin care, and has an excellent melting point on the skin. Common Uses: Being gently toning while rich in vitamins, minerals and linoleic acid, Grapeseed Butter is used to improve the resiliency of the skin and create a better balance of dermal moisture. It exhibits good spreadability on the skin, making it ideal as an addition to a massage butter or body balm. It will add excellent moisturizing properties to any product and can be added to soaps, creams and lotions, massage products, lip balms, hair-care products, and more. Oat Butter is a soothing blend of rich, silky Oat Oil and hydrogenated vegetable oil, to create a soothing butter with a dense viscosity and smooth texture for those with very dry and troubled skin. 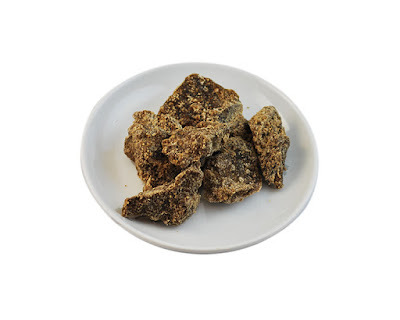 Its creamy texture enables it to be used as it is by those with very dry and troubled skin. It is perfect for lotions, creams, and body butters to make them ultra-rich. It makes a particularly helpful addition to products designed for baby care and sensitive skin. With its excellent spreadability, it is ideal as a massage butter or carrier for therapeutic products. When adding butters to creams and lotions, it might be necessary to gently warm them until the texture is soft enough to be incorporated into the final product. Using a hand blender, create a vortex with your cream or lotion and drizzle your melted butter to fully incorporate. This 100% natural Shea Butter is hand-gathered by women participating in Fair Trade collectives in West Africa, which do not have facilities for finer filtering and cleaning of their product. It is extracted from the Shea nut and processed by traditional methods, so it is unrefined and may contain some minor impurities. 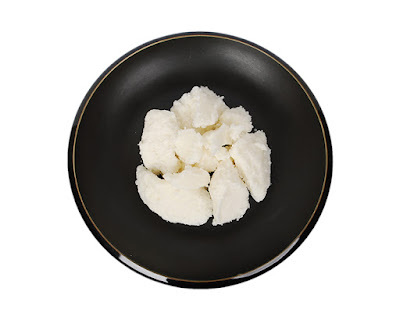 It has a strong natural scent like soft ripened cheese but this is characteristic of Shea Butter from Burkina Faso. It also tends to be yellower in color and grainier in texture when compared to the Ghanaian variety. Common Uses: Used predominantly for skin care, Shea Butter is known for its moisturizing and emollient properties. It is used as a base for medicinal ointments, and has been claimed to have anti-inflammatory properties. Rich in vitamins and fatty acids, Shea Butter penetrates deeply into the epidermis and leaves a smooth, satiny finish. It is also said to have natural antioxidant properties; and the naturally occurring cinnamic acid provides UV protection for the skin. 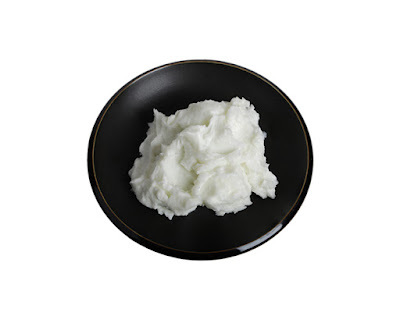 Shea Butter can be used to make massage butters, body butters, lip balms, as a moisturizing agent in soaps and shaving creams, and as a treatment for minor skin wounds and irritations. 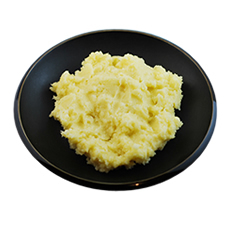 Appearance: This butter is yellow in color and has a rich creamy and somewhat grainy texture. Please Note: Shea Butter from Burkina Faso may be grainy. This is a natural occurrence. To achieve a smooth texture and consistency we recommend that the product be heated until liquefied, mixed thoroughly, cooled off and stored in cold temperatures. The addition of Fractionated Coconut Oil to this Butter, with its high content of Capric and Caprylic Acids, can also help in obtaining a smoother texture. Olive Butter is designed for topical use, and is formulated with 100% pure, cold-pressed Olive Oil, which is very high in vitamins and a wide variety of nourishing fatty acids. Hydrogenated vegetable oil affords an odourless white base that is soft at room temperature but very rich, and it melts quickly on contact with the skin. 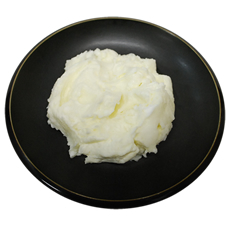 This particular butter is very rich and smooth, and deeply hydrates dermal layers. Common Uses: Olive Oil, so popular in the Mediterranean basin for skin-care and beauty products since time immemorial, aids with the re-hydration of dry or, more specifically, mature skin and hair. Especially helpful to nails and cuticles, it may be used to enhance a variety of formulations including lotions, creams, after-sun products, conditioners, body butters, luxury soaps, baby-care products and lip balms. as you can see in the green 'soap bar quality' box, the hardness is good even though this recipe is palm free, our cleansing number is high, but our conditioning number is a bit low. 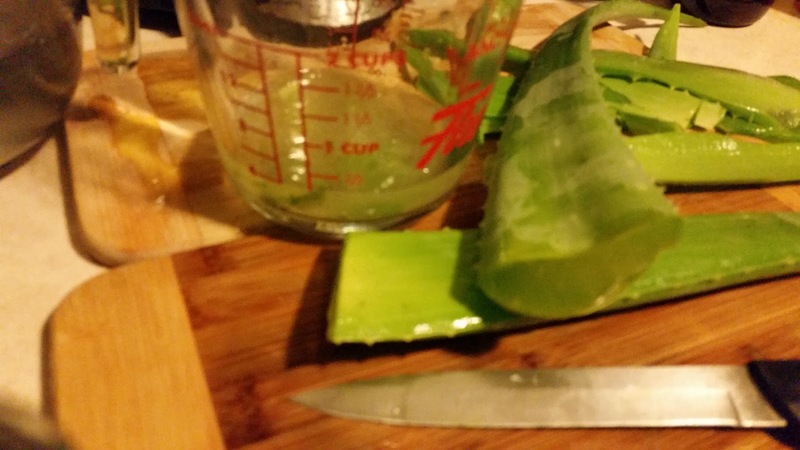 But in this recipe,we will be using aloe instead of water, this creates a bit of soapy voodoo magic that not only makes our soap hard (long lasting), but gentle & conditioning as well. Hemp oil (hardness: 8, cleansing 0, conditioning 90) is great for increasing conditioning numbers in soap as well, but it has a very short shelf life of only 6 months, before you end up with rancid hemp oil. 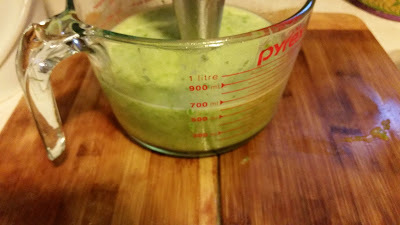 - Melt 204 grams of Coconut oil & 68 grams of Aloe Butter, a double boiler works great for this, but if you don't have, a pot on low heat on your stovetop will work in a pinch,just watch the temps. - cut some nice big aloe pieces in half, and start scrapping all that slimy stuff into your measuring cup, you'll need 150 or so grams for this recipe. - after you are done collecting your aloe guts,take your stick blender and turn the guts into a nice aloe puree, any chunks of aloe will rot in your finished soap, but pureed aloe = all good. - measure 75 grams of COLD aloe juice, if no juice, use 75 grams COLD water in heat safe container. I run the leftover aloe scraps from when i scraped out the guts through my juicer to get my liquid for this, but u can substitute with store bought juice or water. - measure 69 grams of lye (sodium hydroxide), carefully and slowly sprinkle the lye into the 75 grams of cold liquid in the that heat safe container you just measured. Work slowly, and keep mixing until all the lye has dissolved in the liquid. You need to use aloe juice or water to dissolve the lye cause aloe guts are just to too thick. - slowly pour your lye solution into your melted oils, stick blend this for a minute or two, add your pureed aloe guts and stick blend until you reach trace. At trace, pour into soap molds (cleaned juice or milk cartoons). - after a few days, your soap should be hard enough unmold, and cut,otherwise wait a day or two. 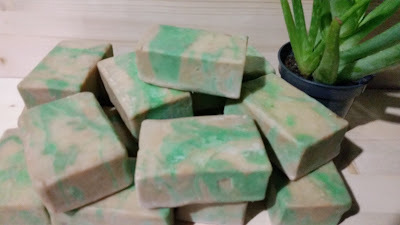 i used french green clay and mica to colour part of the batch, the rest of the batch turned a tan colour, this is normal, if want colour add a clay or mica to your soap batter. 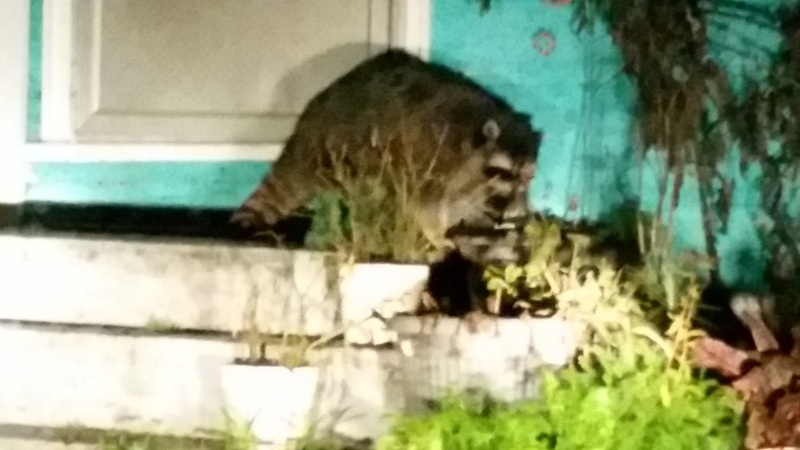 when i got back from the banana store, big momma & no taily where happily munching on some kitty kat food, guess it tastes better then grubs and garbage for dinner. It's hard to see no taily, but if you look closely, you will see his face buried in the food dish, behind big momma.